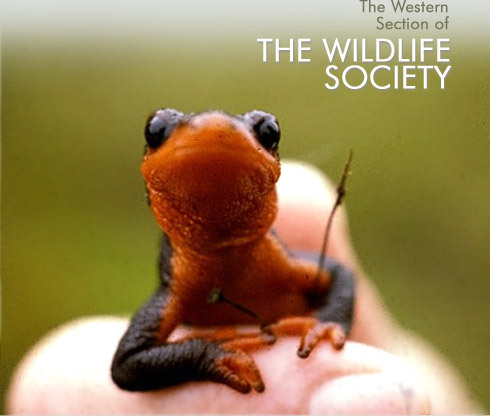 Western Wildlife, the new journal of The Western Section is now online. Read new articles and learn how to submit your own article. Be sure to check out the latest Western Section Announcements. Drone Technology & Regulation: A Workshop for Biologists, April 9-12, 2019. Location: Hastings Reserve. Link to Flyer and Link to Registration Page – Sign up now! We won’t be holding this workshop for a couple years! Bat Acoustics, June 20-23, 2019. Curry Ranch, Clayton, CA. Link to Flyer. Link to Registration Page. eDNA: a Practical Workshop, July 29-31, 2019. Lompoc, CA. Link to Flyer and Link to Registration Page. Catalina Island Guided Workshop, August 5-8, 2019. Avalon, CA. Link to Flyer and Link to Registration Page. Bat Ecology & Field Techniques, August 16-19, 2019. Save the date! Registration coming soon. Nature Photography for Biologists & Enthusiasts, September 27-2. Pt. Reyes, CA. Link to Flyer and Link to Registration Page. Link to Diversify Wildlife Film We started this project because as a group we felt that, while the wildlife field has become increasingly diverse over the past few years, we still have a lot of work to do before we are truly diverse and inclusive. Our goal for this film is to show varying perspectives that people have on the wildlife field and the role that diversity plays within it. At the same time, we want to inspire youth to get involved in the wildlife sciences. We want aspiring scientists to be able to watch this film, see themselves potentially doing fieldwork, and be interested in environmental and wildlife issues. For this reason, we thought it would be a great idea to show what people are working on and the interesting wildlife species that they are working with. Our film showcases undergraduate students, graduate students, and professional biologists who represent different ages, genders, ethnicities, and life experiences. They also come from different backgrounds and have varied interests in the wildlife field, such as hunting, citizen science, field research, and public outreach or education. But they are all wildlife biologists, and are all passionate about helping the environment and diversifying the wildlife community.